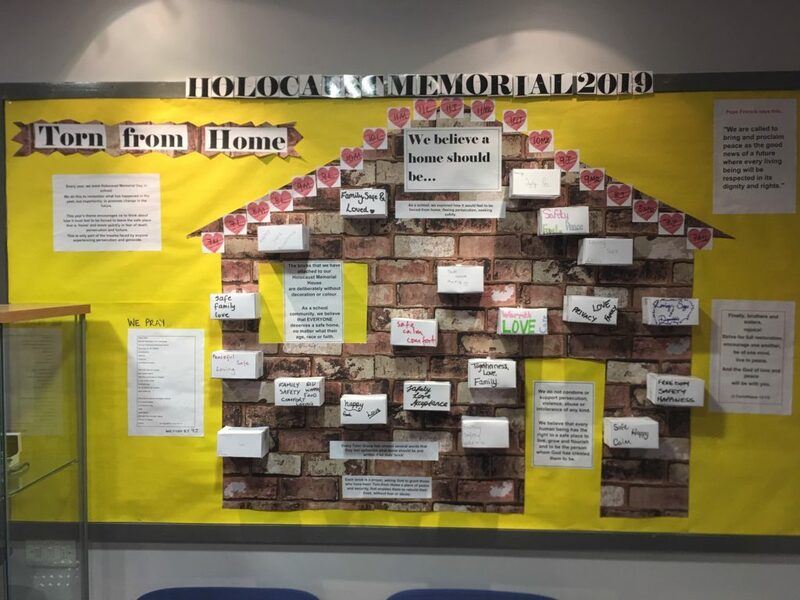 Pupils and staff contributed to a whole school activity created and organised by the Catholic Life Team for Holocaust Memorial 2019. Pupils and their Tutors explored this year’s theme Torn from Home. Following assemblies led by 9John, discussion and prayers took place in tutor groups and each group produced a house brick bearing three words which were the group’s priority for “what a home should be”. The bricks were added to the school Holocaust Memorial House as a form of prayer. 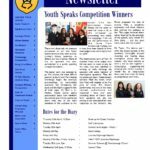 It is our school community’s belief that every person has the right to a safe place to live, grow and flourish and to be the person whom God has created them to be. A display constructed in the foyer will remain in place for the remainder of the academic year as a continuous prayer for peace and that the basic human rights of all people be respected and upheld.